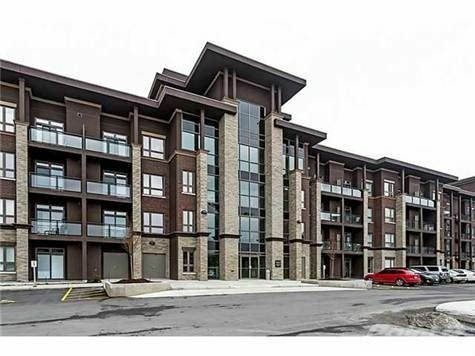 Sun-Filled 1 Bedroom And 1 Washroom Vibe Condominium In Burlington At Appleby And Corporate! East Exposure! 1 Oversized Parking. Close To Elevator And 1 Locker! Open Concept Design! 9 Ft Ceilings! Hardwood Engineering Floors Throughout! Modern Kitchen! Very Spacious 4 Piece Bathroom! Stackable Washer And Dryer! Living And Dining Combined Together To Nice, Open Balcony! Available Anytime. No Pets, No Smokers Please.